Recently I went to watch Ho Mann Jahaan at Luxus Grand Cinema, Lahore. The movie had a star cast with probably the best prerelease hype since Khuda Kay Liye (2007). Coke was sponsoring it and Mahira Khan, Shahryar Munawwar and Adeel Ali were everywhere on the TV screens for the last 3 months. Every Coke ad had them and almost all the major TV channels including Dunya News, Hum TV, ARY group (official media partner) etc hosted the lead cast of the movie in their shows. With such a hype and star cast, the expectations are bound to go high. But the movie began to bore the audience from the very first scene. 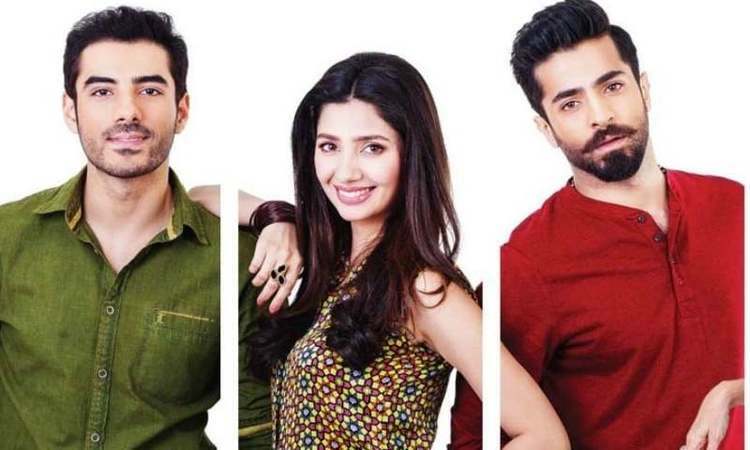 Mahira, Adeel and Sheheryar are, allegedly, playing best friends in the movie and studying at IBA, Karachi. However, there is not a single scene where they look like besties. There’s nothing spontaneous about their dialogues and reactions. There’s not even a single scene in the movie where they look like expressing themselves freely, like friends. Adeel and Mahira are in love with each other (allegedly again) but there is nothing that could be termed as romantic between them. I’ll never be able to forget that nightmarish acting by both, especially Adeel, in a car scene just before he proposes Mahira. The director wanted him to look confused. He tried so hard that he started looking like an idiot. Full marks to the director though, but on another front. He managed to do some extraordinary things in the movie. For example, he made Jamal Shah look hideous. I thought it was impossible for Jamal Shah to look hideous. Another achievement that he unlocked during the course of the movie was getting nothing out of seasoned actors like Arshad Mehmood and Bushra Ansari. The two looked as useless in the movie as they could. I don’t know why the director was so obsessed with Arshad Mehmood’s ‘Zeera Plus’ ad. In every scene, Arshad Mehmood looked like delivering a speech or giving a voice over for some advertisement. “Yeh Aik aur Plus; Plus, Plus!” Clearly, the director had no clue about what he was doing. I’m not sure if he was even interested in this project. Could it be a conspiracy against him? Coming back to the script and dialogues, have you ever seen someone named Nadir been nicknamed to Naddu? Adeel Ali was called Naddu in the movie by Bushra Ansari, who was playing his mother. Yes. ‘Naddu’. Couldn’t they come up with some other name if Naddu was all they could make out of Nadir? Even Naddy would have done. If the nickname is the only way a mother may express her love for his son then why not name him Vikraal for that matter? At least he could have been nicknamed to Vicky that way. The only positive out of the movie was Sheheryar Munawwar’s acting. His scenes with Sonya Jehan were the only part of the movie where there seemed to be some coherence between the dialogues and the actors seemed to have at least a working relationship with each other. But there too, the script managed to sabotage the chemistry by worst ever dialogues between them in the scene where they finally part ways. The moment Sonya Jehan said “What do you want from me now?”, one of the boys sitting on my right said aloud, “I want to be your son”. A girl sitting behind said “Mera bacha, mela shonoo” and the hall, having hardly 15 people sitting in it was still echoing with the laughter when Sheheryar replied “Mai aap ki chhaon mein zindagi guzaarna chahta hoon”. And I was like What the F***? These are the things you say to your mom when you’re really embarrassed having refused to eat the lunch she had made for you. What was the scriptwriter thinking there? Any guesses? I have one. Actually the poor lad had to bring in Syra Yousuf somehow for the last song for a guest appearance, and Sheheryar’s newfound love, so had to cut Sonya out there. He made a mockery out of the dialogues and the viewers were so busy laughing that they didn’t even notice when she simply came closer and friendzoned Sheheryar for life. This was it! Sonya Jahan left and Syra Yousuf had a place to fill. That, she did. The two, Sheheryar and Syra, danced extremely well on ‘Shakkar Wandaan Re’ at Mahira and Adeel’s wedding. And thus there was a happy ending, just like all pointless movies. I read somewhere on Facebook that it was the longest Coke ad I’ve seen in my life. It really was. Straight faces, poor dialogues, even worse delivery of those dialogues, disappointing script and worst possible editing I’ve seen in my life made it clear way before the interval that this film was made to waste some money. We must all thank Coke for the investment they’ve put in the film industry through this movie but if someone feels that such investments would eventually give a boost to the industry, they are wrong. These are the films that ruin an industry. I’d request Coke to sponsor the advertisement part of the movie in the future only. Because as far as my understanding of marketing is concerned, getting an entire movie made for advertisement alone isn’t going to serve the purpose. Learn something from Hollywood, or Bollywood, or at least from Syed Noor. I am an SM politician, SM blogger, SM liberal, SM everything. I write for a living and have a habit of poking my nose into everything political. History, IR, Journalism and Sports are other interests. Astonish to read this analysis– Movie seemed fantastic– I am based in Houston, Tx and its a major achievement for any movie to have full hall on consecutive weekends here that is what happened with both Bin Roye and this one. acting– direction-cinemtaography everything seems just right for the demand — Bushra Ansari role especially was very well played — Movies was not about role Bushra Ansari was playing and she did fantastic not over shadowing the young actors. Sad to see that our own bloggers can not appreciate such a good film. Ohhhh wow. I see that u guys deleted my comments. So that’s how it works in Pakistan eh??? U are THE MOST Negative person I have ever come across in my life… That movie was AMAZING!!! I bet U are the type of person who enjoys crap like Dilwale!!! Wow that was real harsh the film was perfect a coming age film! Dude you need to see it again and appreciate pure talent the film isn’t about just romance and show a chemistry between a love couple it’s about realistic emotions which you’d see day to day! stupid review! the movie was absolutely amazing!!! I can imagine why you liked actor in law better than this film, ure into bollywood tapori type films.